The award-winning adventure travel company Ciclismo Classico is joining forces with Wrenegade Sports as a Featured Partner for the 2018 Farm to Fork Fondo series. The innovative partnership will extend both brands’ reach to each other’s loyal followings as the acclaimed Farm to Fork Fondo series grows to 8 events. As the exclusive bicycle tour operator partner, Ciclismo Classico will have a presence at each Farm to Fork Fondo event, and be promoted extensively through Wrenegade Sports’ channels as another avenue to inspire its participants to pursue healthy lifestyles, a key core mission of the growing event production company. Ciclismo Classico is no stranger to cycling tourism. The travel adventure company has received international recognition for its biking, hiking, and photography tours through Europe and South America. The pairing of authentic cuisine and expertly planned rides is one of the many reasons Ciclismo Classico has been included on National Geographic Traveler’s annual list, “50 Tours of a Lifetime,” three times. The 2018 Farm to Fork Fondo series will include 8 events in iconic farmland locations throughout the Northeast and Mid-Atlantic US regions. Total participation is expected to climb from just over 3,000 in 2017 to more than 4,500 participants next year. New locations and the full 2018 Farm to Fork Fondo schedule will be announced in the coming weeks. Farm to Fork Fondo is a series of non-competitive cycling events in iconic farmland regions throughout the Northeastern United States. The mission of the Farm to Fork Fondo series is to highlight and support the symbiotic relationship between cyclists, farmers and beautiful landscapes. Ride options range from 10 to 100 miles, and include several on-farm aid stations where participants sample chef-prepared treats made from each farm’s ingredients. For more information, visit FarmToForkFondo.com. At Ciclismo Classico, the pioneers in bicycle travel since 1989, creating an active experience that sparks your passion is our sole mission. 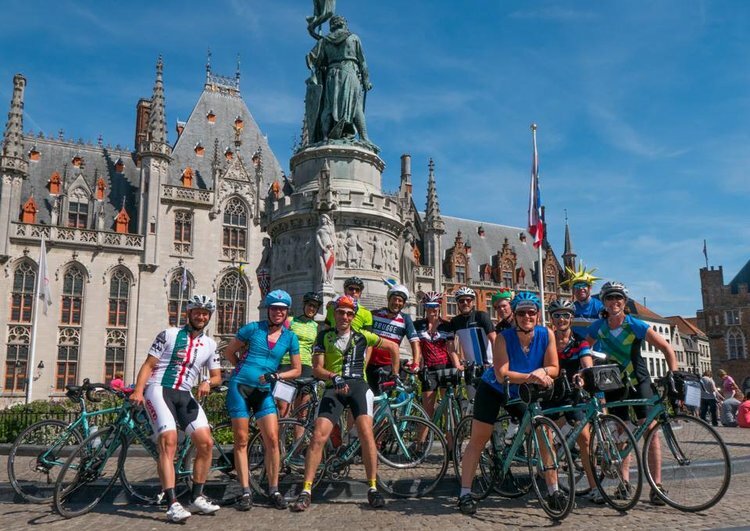 Like chefs who intuitively know, love and seek out delicious flavors to blend into a succulent dish, our Ciclismo Classico itinerary-dream-team combines an insatiable love of cycling, travel and culture with a rich imagination for creating one-of-a-kind, two-wheeled and photography tours. This special blend of ingredients, the “Magical Ciclismo Menu,” has earned dozens of awards and thousands of accolades and is a feast for the senses that will win a place in your heart. After inspiring thousands of guests and designing the world’s most innovative cycling itineraries, one simple principle remains at our Ciclismo Core: life should be active, fun, delicious, educational, flowing, strengthening, energizing and deeply connected with beautiful places and their people. Whether you are pedaling a bicycle or looking through a lens, you will discover, on a Ciclismo Classico tour, that life itself is a dream waiting to happen.